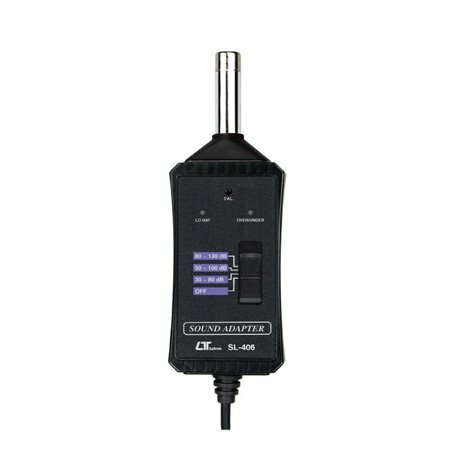 * Cooperate with the DMM to be as a professional sound level meter. * 35 to 130 dB, 3 ranges. * Frequency weighting networks are designed to meet the IEC 61672 class 2. * A weighting networks are conformity to standards. * Fast Time weighting dynamic characteristic modes. * Condenser microphone for high accuracy & long-term stability. * Frequency 31.5 Hz to 8,000 Hz. Electric condenser microphone. Size of microphone : 1/2 inch standard size.